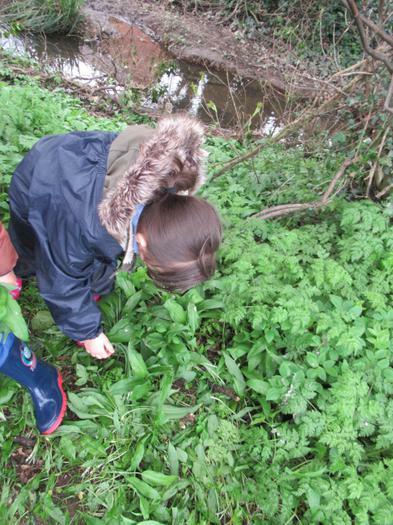 Today we went to Squirrel School to find some natural treasures. 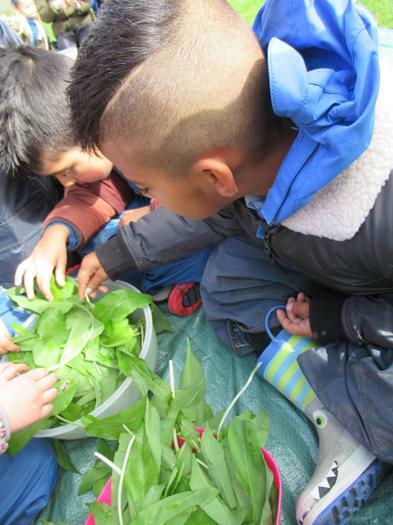 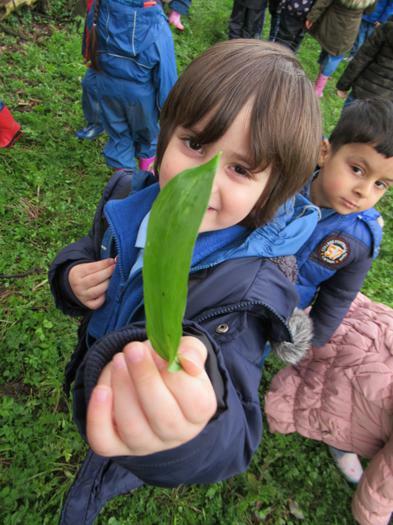 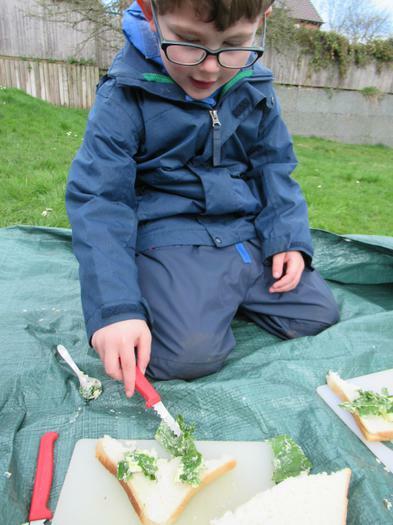 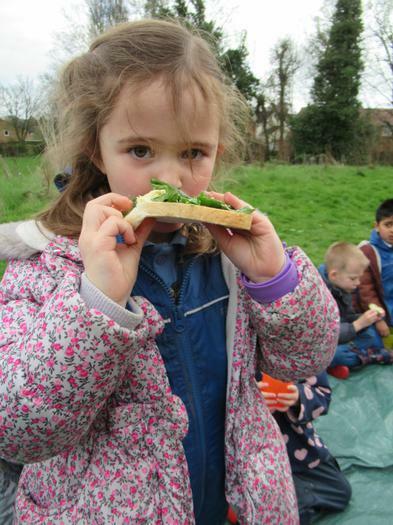 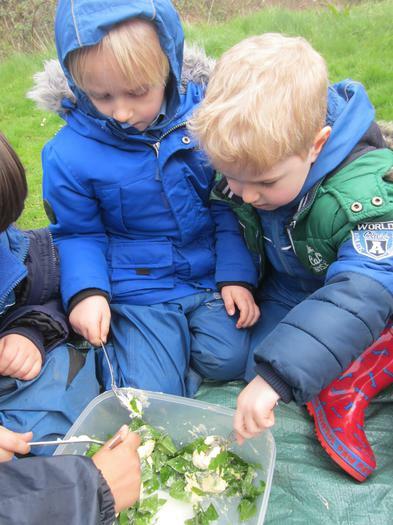 At Squirrel School we found some wild garlic, and made garlic bread. 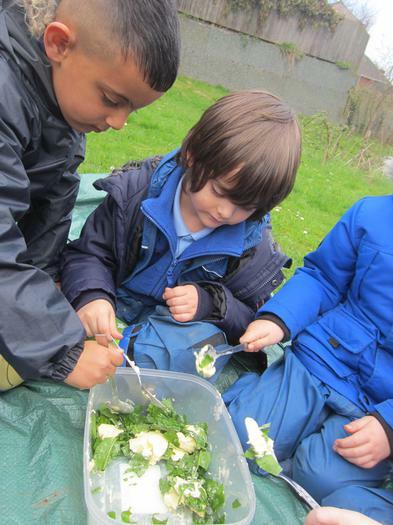 First, we carefully picked the garlic and put it into a bowl. 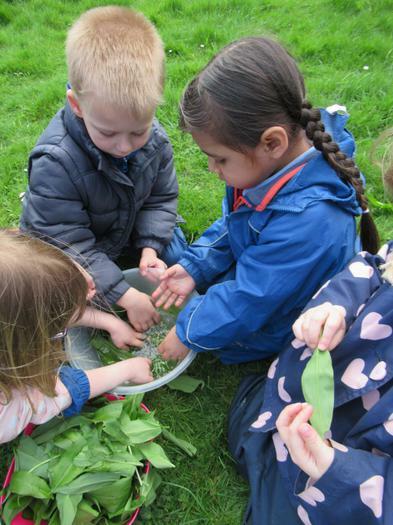 Next, the quality control team had to go through the garlic leaves and make sure there weren't any different leaves in there otherwise it might "make us poorly and have a tummy ache." 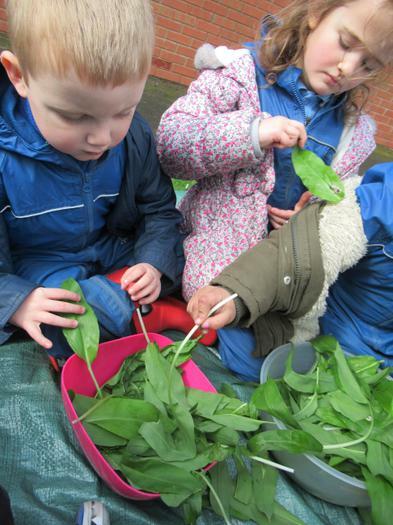 The quality control team then gave the sorted garlic leaves to the hygiene team, they had to wash and rinse the leaves. 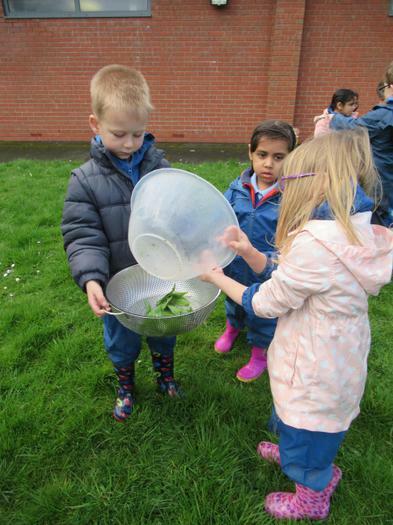 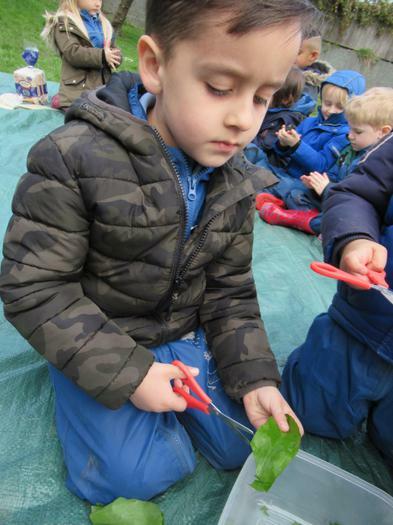 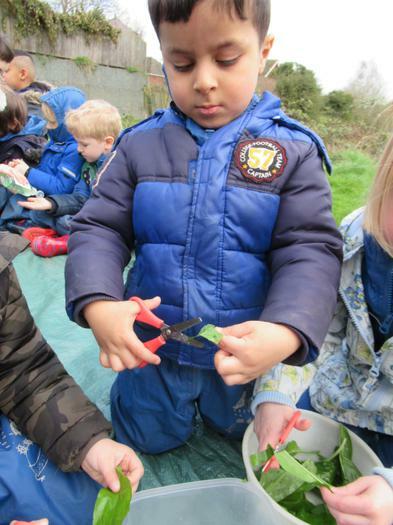 The hygiene team then passed the clean leaves onto the cutting team and then used scissors to cut the leaves. 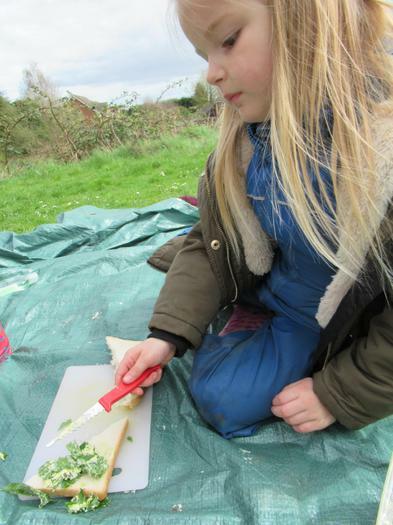 Once the cutting team had finished they passed the cut garlic onto the mixing team, who mixed the garlic into butter. 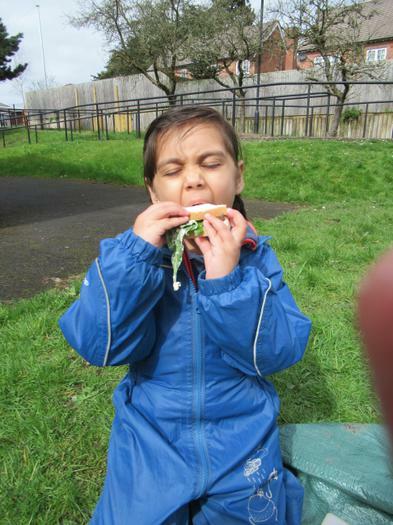 We all then spread out our own garlic butter onto a piece of bread and enjoyed it in the sunshine.